Onsight allows customers to share live visuals with remote experts for rapid decision making in the field. Olympus Australia and New Zealand (Olympus) and Librestream Technologies Inc., a leader in remote expert systems for enterprise, are pleased to announce that Olympus is now offering Librestream’s Onsight platform to provide additional functionality to their product portfolio. Using Onsight, Olympus customers in industries including aerospace, manufacturing and oil & gas, can share live visuals from remote visual inspections (RVI) and non-destructive testing (NDT) instruments with remote experts for rapid decision making in the field. “Onsight connects our customers in a way that truly transcends the remoteness we are accustomed to in Australia and Oceania. The ability to instantly share live visuals gives global collaborators a true presence, virtually taking them inside the inspection equipment,” said Brendan Slaven, RVI Product & VM Manager for Maintenance at Olympus. “Librestream complements our technology perfectly with their vast experience in remote collaboration. Onsight brings the experts to you, when you need them, minus the requirement to travel,” Slaven continued. 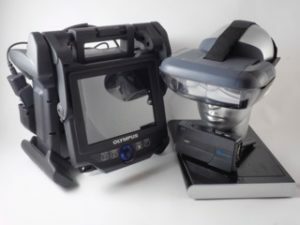 The Librestream solution includes Onsight Connect collaboration software and the Onsight 400R Collaboration Hub device to connect to Olympus videoscopes, ultrasound and other test instruments. Olympus can also provide options to connect a variety of popular virtual reality headsets in order to share visuals in live 3D.